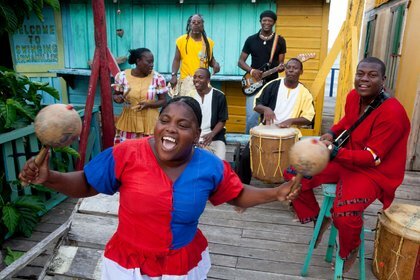 When Andy Palacio and the Garifuna Collective released the Wátina album in 2007, it not only put the music of Belize on the world stage, it also inspired a generation of Belizean musicians to look to their roots. Andy passed away just a year later but his legacy continues to thrive, and the Garifuna Collective have not ceased to carry the torch. Featuring an inter-generational line-up and the rousing vocal prowess of the Umalali women singers, they celebrate the deep cultural roots of Garifuna music, with the emblematic sound of the two traditional Garifuna drums - the Primero and the Segunda - along with maracas, turtle shells, jawbones and acoustic and electric guitars and bass grooves. So far in 2018, they have toured the US and Australia, and the new album is imminent. 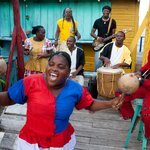 Garifuna oyé!